Hotel Mewar inn situated in the heart of the city is an answer to your unfulfilled desires and wishes, to stay in lap of luxury in true colonial ambience whilst you travel. Mewar inn is located on Residency Road, Udaipur, just 4km from the bus and railway stations and is close to important landmarks like Folk Museum, GPO & Post Restante, American Hospital, Telecom centre, and is highly popular among budget class tourists. 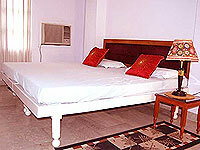 There are 20 rooms falling in different categories as economy and deluxe rooms all with sleek and clean attached toilets. 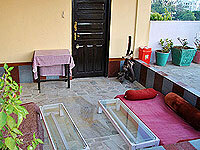 Rooms are all well decorated and comfortable, equipped with modern amenities, private bath and telephone. 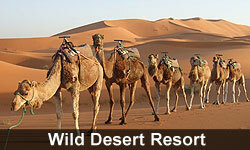 Our tariff is very reasonable and competitive. 24 hours hot & cold water for shower. Color T.V. to watch your favorite channels. 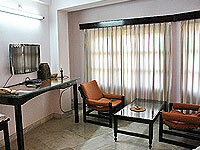 Hotel booking all over India. High Speed Internet Cafe with Wireless connectivity.